- Uninstallation removes all traces of Nero that were added by Lite installer. 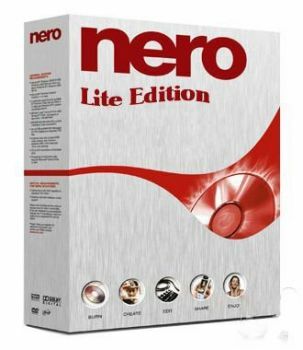 Nero Lite will take 250 MB space on your HDD, when all applications are installed. An Uninstaller is included, but it won’t be showed in Add/Remove programs. You will have the shortcut in Start Menu of it and you can use the installer for uninstall. After uninstall you will probably have to reboot (you’ll get prompt if needed) because some files are in use and can be only deleted after reboot. Do not try to install again Nero if you did not reboot after uninstall, because commands are added which will delete remaining Nero files/folder on next reboot (if prompted for reboot). So, if you don’t get prompt for reboot, you can (un)install as many times as you want without reboot. PLEASE NOTE: If your antivirus programs report that Lite installer is some kind of a virus, that is false positive and you can ignore it. Installer is created with AutoIt and most antivirus programs report false positives for everything created in AutoIt.